If you have come to Canada one must experience both the French and English Canadian lifestyles to fully experience the country. One of Canada’s most dynamic and cultural relevant locations is Montreal. While the main thing to do is take in the old city, one of the most culturally relevant spots in the city, the following list will provide further options and ideas for having a good time in Montreal as a visitor. 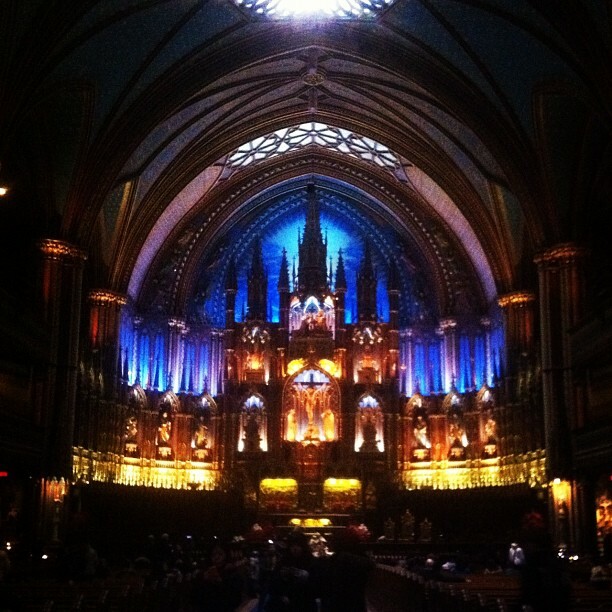 The oldest Catholic Church in Montreal was built in 1656 and is known for intricately deigned interiors that include stained glass chronicling the history of the city. Referred to as “the mountain” by the locals this 746 foot mountain provides lavish views over the city and is popular recreation spot for varied outdoor pursuits. Montreal’s botanical garden is home to more than 20,000 different plant species in 31 specialized gardens. The varied gardens include the largest Chinese garden outside of Asia and a Japanese Garden complete with a tea room and amazing bonsai collection. The gardens also have an insectarium which is a museum of sorts to different varieties of insects. Old Montreal is one of the best maintained “old towns” on this side of the Atlantic. This section of Montreal calls back to the cities French roots. Taking on a European persona the look is immaculate with cobble stoned streets and breathtaking architecture. A surprise too many visitors is that though the French Canadians are proud of their language English is also spoken in this Canada’s most bi-lingual city. Enjoy a horse drawn carriage ride though the old city. Soak in the French Canadian culture with the litany of galleries, museums, and restaurants that populate the old town. This is the largest shrine dedicated to Saint Joseph in the world. Unique treasures such as the votive chapel contain more than 10,000 lights and votive candles. An onsite museum contains a permanent exhibit of hundreds of crèches from around the world. Enjoy splendid gardens just outside of the Oratory which contains the way of the cross, the crypt of the basicilica. The Montreal Museum of Fine Arts is one of Canada’s most renowned museums that houses a varied collection of international, contemporary, and Canadian art. The building itself has an intriguing structure with an original building from 1912 and an annex across the street built in 1991. The two buildings are connected via underground galleries.